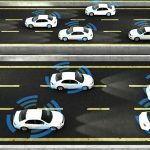 Autonomous vehicles disrupting entire industries: Is your business ready? When considering the internet of things, it can be tempting to think of far-flung ideas akin to science fiction. 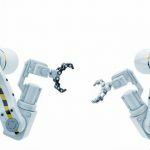 It could also be easy to simply consider the technology as too unproven and expensive to be realistic for many businesses today. In practice, however, there is a great deal of low-hanging fruit in the IoT sector, leaving organizations with many opportunities to leverage the technology now even as it matures. MarketsandMarkets found that the global IoT market is poised to expand at a compound annual growth rate of 26.9 percent from 2017 through 2022. While this growth is exciting, it’s important to note that the sector is already valued at more than $170.5 billion. The IoT is already a major factor in the technology industry and many businesses, across a huge range of industries, are working to adopt the technology. An Information Age report explained that the IoT is already changing the way businesses approach their service models. Connected devices allow for new practices in identifying how customers leverage products and solutions, making it easier to build user-focused models and keep up with market demands. However, the network requirements of the IoT are also putting pressure on businesses, making strategic innovation essential. The inherent challenges of the IoT – configuring your network, adapting your business models, deploying devices, adjusting processes – mean that the IoT requires a combination of cultural, operational and technical changes. Businesses need leaders who can carry them through these transitions with a combination of skills that ensure they can build a strong business in the technology-focused context that dominates the marketplace today. Finding such executives isn’t easy. Individuals with technology skills alone are useful in many parts of the company, but may not have the experience to drive cultural and operational change. Traditional business leaders, on the other hand, may not fully understand the implications of the underlying tech issues already in play. Finding the right executive is difficult, but YES Partners can help. We provide executive recruitment services that leverage a global network of experienced professionals. To see some of the roles we have already successfully placed, click here.